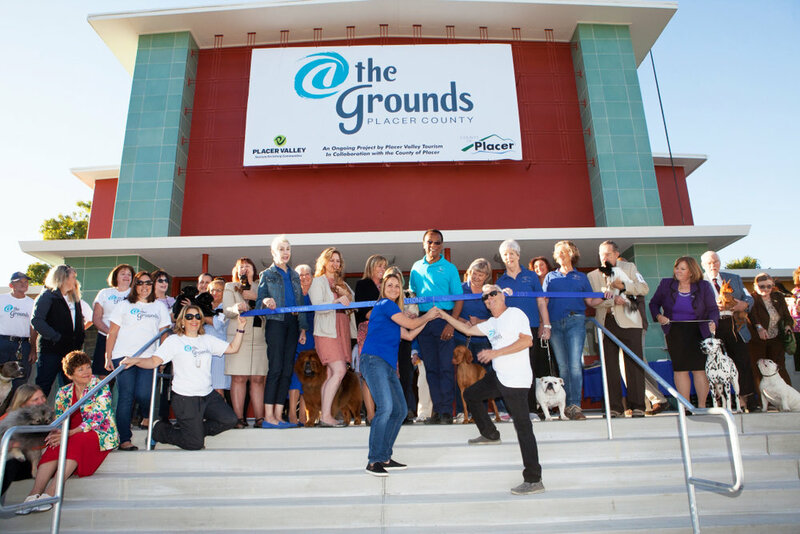 For more than 80 years, @the Grounds has been the home of the Placer County Fair along with countless other community, family and corporate gatherings. Our most exciting project yet, a 160,000 square-foot indoor multi-purpose facility is also in the works. Design and construction meetings are in progress with more exciting announcements to come! Find out more here. David Attaway has more than twenty-five years in the hospitality and leisure industry. His varied background includes both paid and volunteer roles in arts, gaming, entertainment, tourism and facility management. With an educational and vocational background in marketing and management, he has worked for a city, a symphony orchestra, two universities, two casinos, and three nonprofit tourism organizations. David has been the CEO at Placer Valley Tourism for six years and recently also became CEO of @the Grounds. David resides locally in Roseville. Robbie Sandoval comes to us from Tennessee where he was the manager of various concert and event venues including Back Porch Entertainment and the Knoxville Civic Auditorium-Coliseum. He has over 30 years of experience in working with clients to bring their event dreams into reality. He specializes in operations including finances, catering, entertainment, and event setup. With more than two decades of experience leading sales efforts on behalf of hotels and event spaces, Cheryl Goldfarb joins @the Grounds team as its Director of Sales. Specializing in multi-faceted events and corporate meetings, Cheryl has worked most recently at the McClellan Conference Center, and, previously, for hotel groups, including Hilton and Marriott. Cheryl is a long-time resident of Antelope, CA, where she lives with her husband Bryan, Sons Zachary and Connor and two very energetic Labs. Carrie comes from an extensive background in planning large scale events as well as working in the hotel industry for the past 8 years. After being part of the opening team of the Hyatt Place in Roseville as well as working in the Accounting and Human Resources departments for Marriott, Carrie is ready to bring her experience and excitement to this position. Carrie has been a long-time resident of the Sacramento area where she and her husband, Eric, have successfully raised four wonderful children. With more then 10 years with the former Placer County Fairgrounds, Jodi continues on now as the Facilities Manager of @the Grounds. "The fairgrounds has long been in need up upgrades like the renovations that are happening now and to be here for it is like a dream come true. Everyday keeps getting better and I am honored to be a part of this @the Grounds team." Jodi moved to the area twenty three years ago from Southern California and is the proud mother of two grown children and two precious grandchildren. Raised in Dallas, Texas, Abby then moved to Austins where her passion for the event industry started. There she learned all the ins and outs of events at Westwood Country Club and continued to grow when she moved out to California to become an Event Ambassador for Topgolf working sporting events for corporate and social functions. She then became a sales and event consultant for a catering company in Sacramento as well as assisting in coordinating weddings in the Tahoe area! "I am so happy to be a part of this team and can't wait to see all the possibilities @the Grounds has in store!"